ElringKlinger has focused its efforts on developing forward-looking green technologies. These are designed not only to reduce CO2 emissions but also to scale back the level of harmful nitrogen oxides, hydrocarbons and soot particles. ElringKlinger is one of the few automotive suppliers worldwide with the capabilities of developing and producing high-tech components for all types of drive system – whether for downsized combustion engines or for electric vehicles driven by batteries or fuel cells. 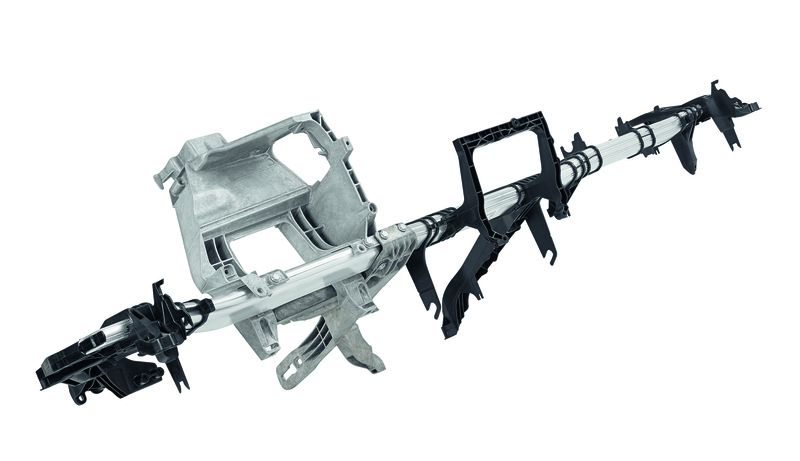 Drawing on our expertise in lightweight engineering, we can make a decisive contribution to efforts aimed at further reducing vehicle weight and thus fuel consumption. 10,000 employees. 44 locations around the globe. Applying our abilities as an innovator, we are committed to sustainable mobility and earnings-driven growth. These efforts are supported by our dedicated workforce of over 8,500 people at 47 ElringKlinger Group locations around the globe. This is ElringKlinger Automotive Components (India) Pvt. Ltd.
Official inauguration in 2008. Since then, EKIA has been growing rapidly at a compound annual growth rate of 30 percent. Owing to its rapid growth, the plant capacity has been doubled in 2015. 400+ people are currently employed. 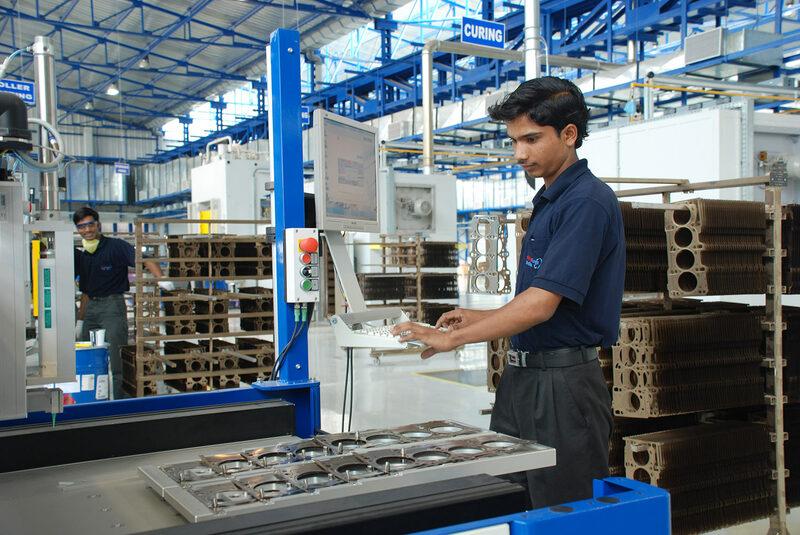 At ElringKlinger Automotive Components (India) Pvt. Ltd., cylinder head- and speciality gaskets as well as shielding systems and plastic lightweight components are manufactured. All major automobile manufacturers are served. Found in almost every car on the planet. Whether it is a matter of improving the combustion engine or developing e-mobility, ElringKlinger is one of just a few automotive suppliers with the necessary expertise to provide customized product solutions and engineering services for the drive technologies of the future. We are a development partner and series supplier to almost all vehicle and engine manufacturers around the globe. 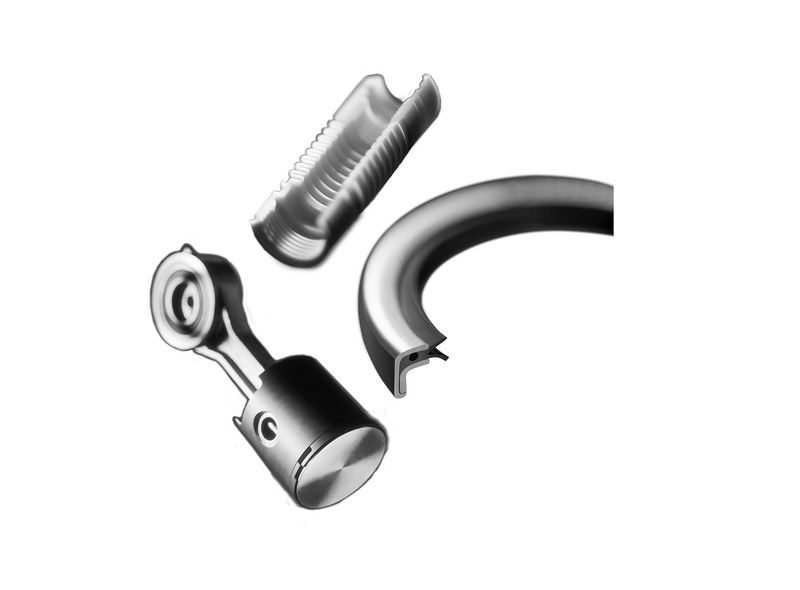 In addition, our company offers a comprehensive, premium-quality range of spare parts for the independent aftermarket. Cylinder head gaskets have made us famous, with components for lithium-ion batteries, we show that we have the future already in view. Our entire product portfolio is focused on one key issue: CO2 reduction. Whether high-temperature gaskets for downsized engines, lightweight plastic components and modules that save weight and fuel by replacing metals with polymers, or shielding systems designed for targeted thermal management – we have set our sights firmly on shaping the future of automotive engineering. Our company’s story began in 1879, when it started trading in gaskets and other technical products. Today, ElringKlinger is the leading supplier of cylinder-head gaskets. Most of the world’s major automobile manufacturers put their trust in our exceptional quality and reliability. 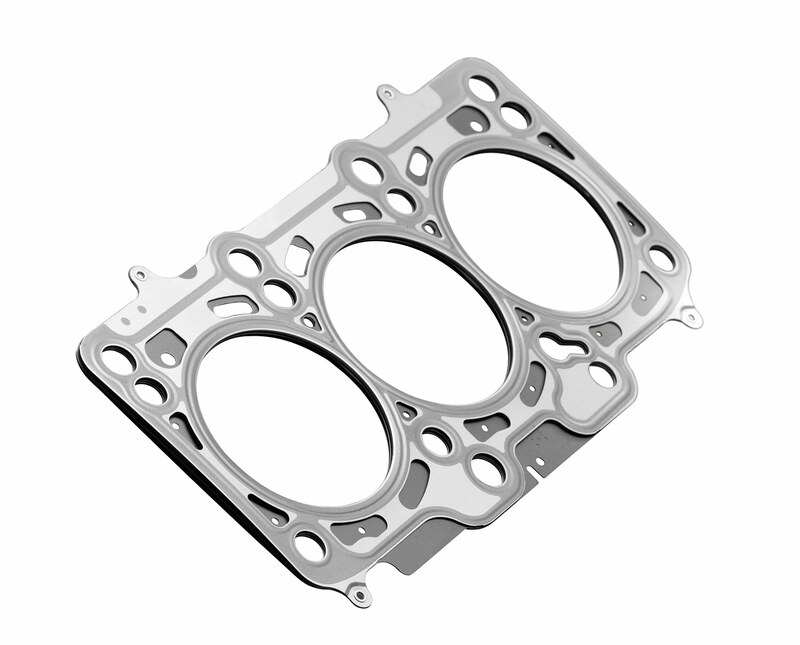 Cylinder-head gaskets play a key role in the ongoing refinement of engine technology, particularly for high-performance diesel engines and gasoline engines with direct fuel injection. Every year we produce around 30,000,000 cylinder-head gaskets worldwide. Our MetaloflexTM brand has made us the world’s largest manufacturer of metal layer cylinder-head gaskets. ElringKlinger offers the perfect sealing solution for every engine concept and the support of a highly efficient engineering service that accelerates the development process from original idea to production readiness. 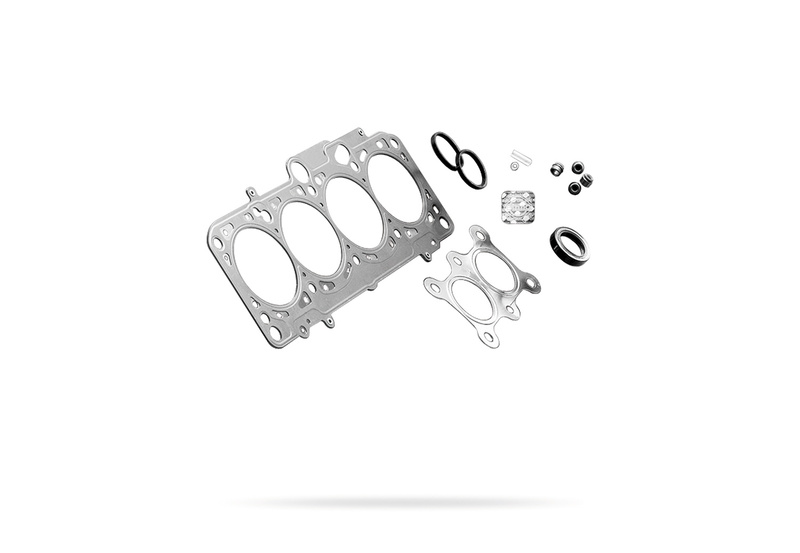 Cylinder-head gaskets from ElringKlinger reliably prevent leakage of fuel gas, coolant and oil. Acting as a load transmission element between crankcase and cylinder head, they also have a considerable influence on the distribution of forces within the entire bracing system and the resulting elastic component deformations. There is no standard solution for modern engines. The increasing demands call for an exact match between cylinder-head gasket and engine. Modern sealing systems have to be able to meet a number of challenges. ElringKlinger supplies highly efficient, tailor-made products designed for a wide range of sealing applications relating to engines, transmissions, exhaust systems and auxiliary aggregates. The material and design of each solution is always matched precisely to the specific tasks and requirements. What is more, additional elements can be incorporated into ElringKlinger specialty gaskets where needed, e.g. heat shields, filters, sensors and pre-assembly components. Our pedigree of excellence is based on 136 years of hands-on knowledge in the field of gasket engineering. 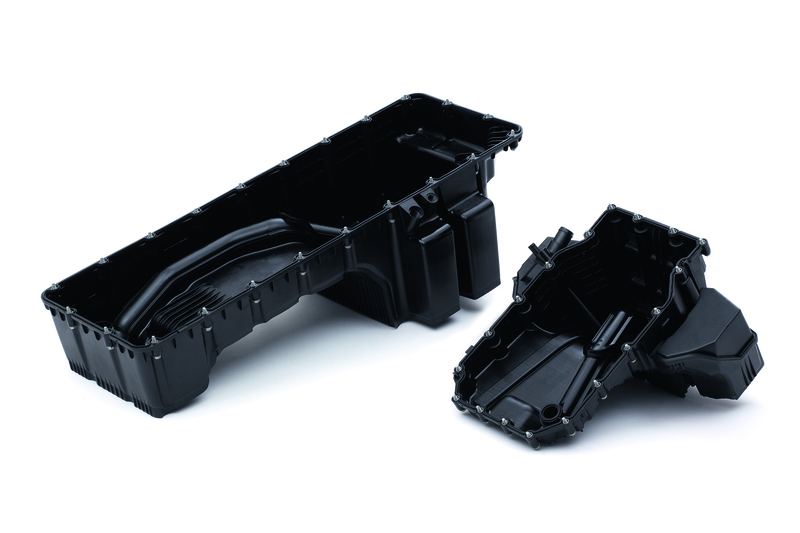 The first lightweight plastic component went into serial production at ElringKlinger at the end of the 1990s. Today, we are producing around 10 million units a year – and this volume is set to grow. Highly efficient solutions for tomorrow's mobility needs. Industry experts are unanimous in their verdict that alongside battery technology the polymer electrolyte membrane fuel cell (PEMFC) marks a breakthrough in e-mobility. 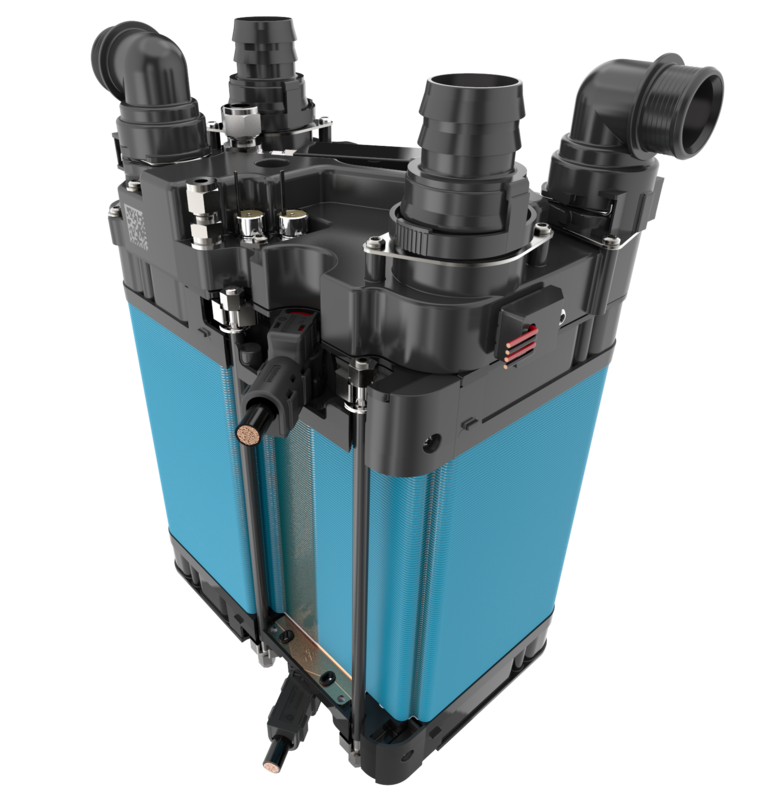 Provided that pure hydrogen is available, PEM fuel cell technology can be deployed effectively in all those areas of application in which low consumption and zero emission levels are an essential requirement. Boasting a range of company-developed fuel cell products, ElringKlinger offers innovative solutions tailored specifically to the challenges associated with stricter emission standards for conventional combustion engines and limited driving range in battery-powered vehicles. Drawing on many years of experience as a supplier to the automotive industry, underpinned by fully automated processes in the areas of metalworking, plastic injection molding and joining/coating technology as well as automated assembly processes and in-house tool and mold making capabilities, ElringKlinger has established itself as a preferred partner for the cost-effective manufacture of fuel cell products in large quantities. At present, we are focusing on applications that are not dependent on the widespread supply of hydrogen. The emphasis here is on parts commonality and the integration of specific functions to deliver a thoroughly streamlined total cost of ownership. When it comes to production, we rely on tried and true processes, readily available technical solutions and partners/suppliers with a proven background in the industrial sector. We are able to supply automotive OEMs with an extensive range of components as well as premium-quality PEM fuel cell stacks – on request even with fully integrated system functionality. By providing innovative end-to-end solutions that encompass everything from in-house development through to manufacture, we aim to assist our customers in their pursuit of business excellence. Our subsidiary Hug Engineering AG offers efficient solutions and customized concepts for exhaust gas purification. 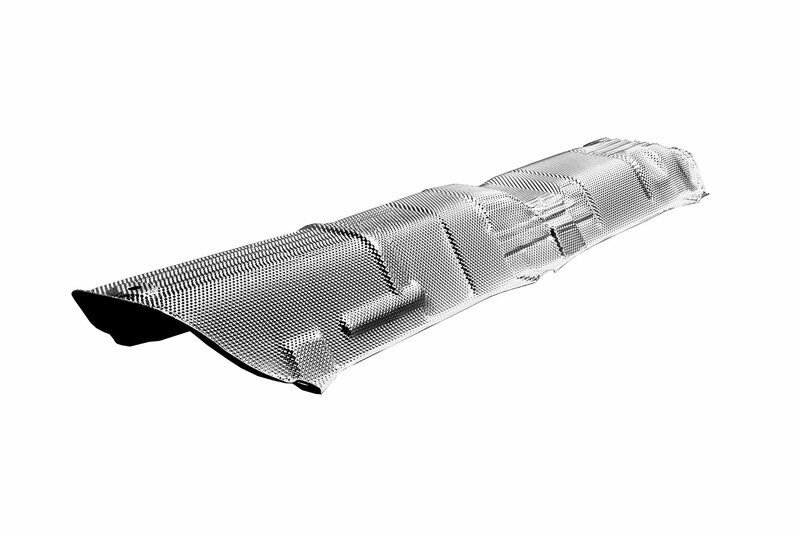 This primarily includes development, engineering, production and distribution of complete exhaust gas purification systems for catalytic exhaust aftertreatment of mobile and stationary combustion engines. All the expertise you need – from a single source. Our diesel particulate filters, combined with CleanCoatTM coating material for soot reduction, are used predominantly in commercial and off-road vehicles. In view of increasingly stringent exhaust gas emission standards worldwide, we are also set for growth in this area. For more information please refer to the website of Hug Engineering AG. Energy converters of the future. Climate change and public debate surrounding CO2 emissions are finally beginning to have an impact: the world of power generation and mobility is evolving. The concept of centralized energy supply is giving way to a more decentralized approach that has also seen the emergence of so-called smart grids. Conventional large-scale power stations are being replaced by small, highly efficient combined heat and power generation units (CHP) in combination with renewable sources of energy. Service stations will soon also include battery recharging bays and hydrogen dispensers. ElringKlinger has been avidly embracing this culture of change. Alongside components for lithium-ion batteries, we also develop and produce fuel cells for a wide range of applications. The focus for ElringKlinger is on solid oxide fuel cells (SOFCs) and polymer electrolyte membrane fuel cells (PEMFCs). SOFCs are capable of running on logistically available fuels that are based on hydrocarbons, such as biogas. PEMFC, meanwhile, is perfect where hydrogen is available as an energy source. In combination, these two technologies cover the largest possible field of applications. Drawing on many years of experience as a supplier to the automotive industry, underpinned by fully automated processes in the areas of metalworking, plastic injection molding and joining/coating technology as well as automated assembly processes and in-house tool and mold making capabilities, ElringKlinger has established itself as a preferred partner for the cost-effective manufacture of fuel cell products in large quantities. We are a fully fledged partner to our customers, covering every aspect from prototyping through to serial production. 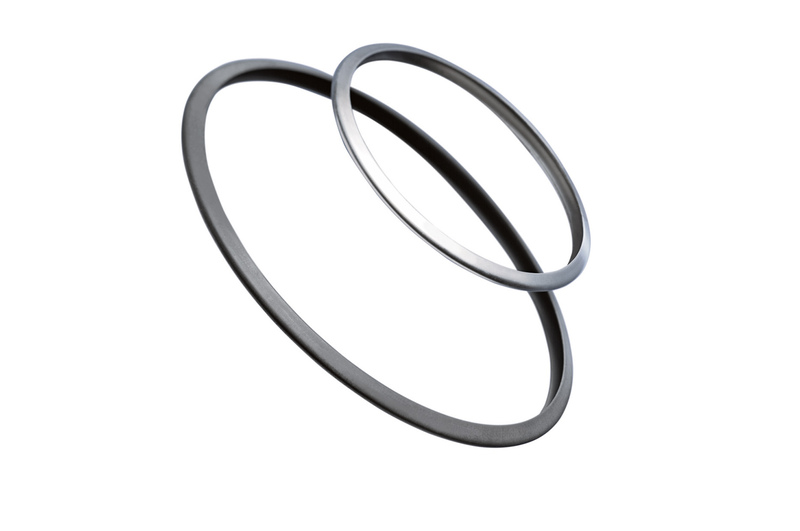 The tailor-made gaskets and components developed by our subsidiary ElringKlinger Kunststofftechnik GmbH are used in a wide range of industrial applications such as chemical and equipment engineering, medical and laboratory technology, mechanical engineering and food technology. The materials used: high-performance PTFE, PTFE compounds and the newly developed thermoplastic material Moldflon™. For greater efficiency and better performance even in the toughest conditions. For further information, please visit the website of ElringKlinger Engineered Plastics (external link). ElringKlinger has developed into a global player. Over 10,000 employees at 44 locations worldwide contribute to our success. Do you want to be part of the success story? We are always looking for motivated employees in India. EKIA – with a very young manpower – provides opportunities for training and development in an international environment, thereby encourages empowerment at very young age and growth opportunity. Become part of a global team and start your career at a German automotive supplier! Currently we are planning to introduce a mediclaim facility to the employees who retire from the services of company.